Maple Leaf PoCo - so friendly and helpful. Facility is exceptionally well kept and secure and serves as a super convenient one stop shop for everything we needed to properly store our belongings. Thank you! Excellent customer service and willingness to help. Clean, well organized facility. Always have a good experience with the staff who are very accomodating. Facility is always clean and well looked after both inside and out. Could not ask for better. The ladies are doing a fantastic job, always clean, great prices when compared to others around the area, and best of all - convenient location. We rent 3 units for some years now, and we would not go anywhere else. Clean well-kept facilities. Fun, professional staff. Clean, well-kept facilities. Professional staff. I've been using Maple Leaf Storage for a few years now and I could not be happier! The facility itself is kept very clean and tidy. The staff are so kind and friendly, always nice to chat with any of them. Definitely recommend to anyone looking for some extra storage space! Great location, clean and well maintained along with easy access. Super clean,ultra secure facility. Staff are awesome and always very knowledgeable and helpful. Price is also very reasonable compared to all other facilities in the area. Facilities well secured, clean and functional. The team professional and friendly. The premises are secured, clean and pleasant. Staff is professional and very friendly. 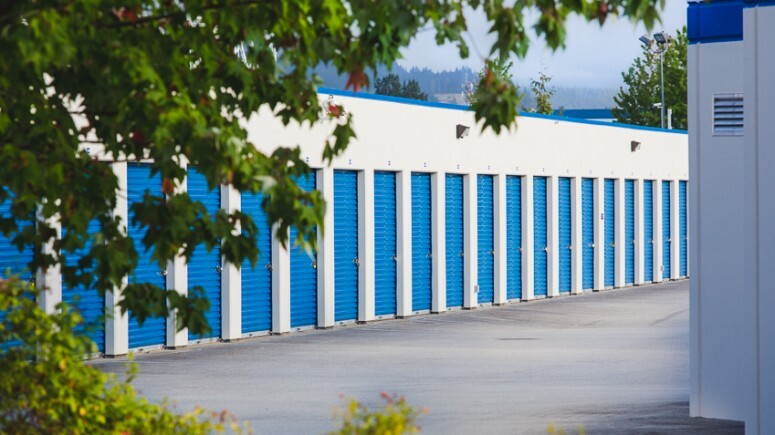 We have been with Maple Ridge Storage for quite a few years. It is a clean, well run facility. The staff is very friendly and efficient. We have other family members who are using the facility and they are also very satisfied. They are definitely worth checking out if you are looking for a unit. Move in was a breeze. Val is professional and helpful. Facility is clean, easy to access, well ventilated and secure. I have rented multiple units from this locations over the last 5 years, and have always been very happy with the service. The location is safe, secure, and clean, and the staff has always been very helpful and polite. 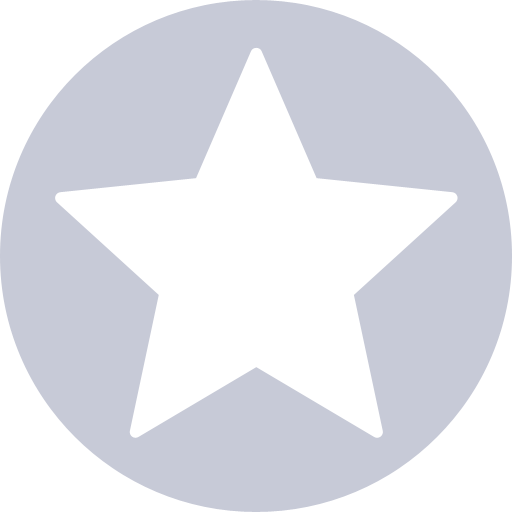 I have recommended this site to others and they have also been satisfied with the services. We have rented a unit with Maple Leaf for several years now. We are confident our belongings are safe; the permises are secure and well-maintained. The staff has always been great. We have never had any issues in all the time we have been renting with Maple Leaf. 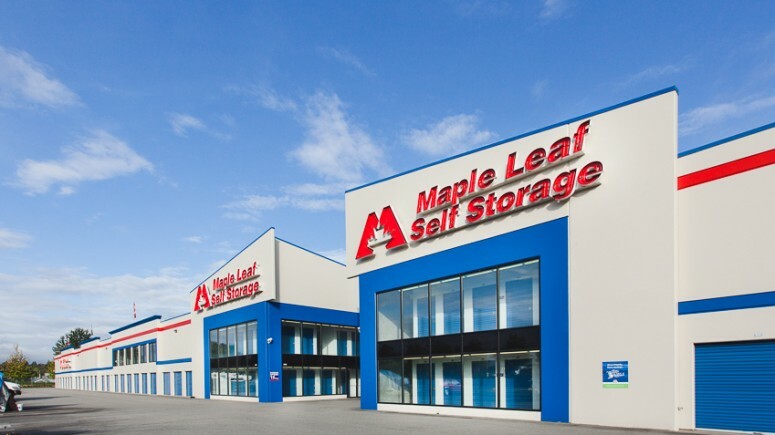 I have been with Maple Leaf Storage for a number of years now and have never had any issues. The premises are clean and well taken care of. I know my documents are safe and secure and the staff were very friendly and helpful right from the get go. I would totally recommend Maple Leaf Storage. I have had a storage locker for years now and it has been great. The facility is so clean and the staff are amazing. The have a variety of sizes inside and out to chose from. I have recommended to friends and family and would recommend to anyone needing a clean and safe place to store your items this is the place for you. Maple Leaf Storage Poco . . Outstanding wonderful pleasant professional Staff ✨ ! Storage facility very well designed & easy access , well planned storage areas ! Just excellent all around 5 star ⭐️ Highly recommended !!! Thanx to all , Enjoy , Karyn K ? Great facility, clean and well run by friendly staff. Clean, professionally run and easy to use. I can be in and out in 10 minutes if dropping off a couple of things. Professional, knowledgeable and friendly service. 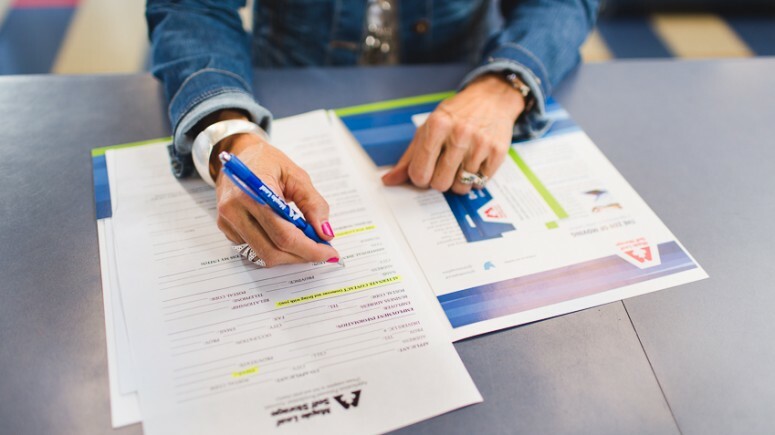 Recommendations, orientation and tour go beyond any other facility in the lower mainland. All of the grounds, building interiors and units are keep in excellent repair and are meticulously clean at all times. Very happy to have moved my storage needs to this facility. The staff are very friendly and accommodating. They take the time to explain everything and give a tour. Staff and facilities are excellent. Very pleasent and accommodating employees. Highly recommend this location. I was in an emergency and stressful situation. The staff were extremely helpful in getting me set up quickly and calmly. I stored my boat at this location The staff was great. Efficient and friendly, and the outdoor storage was clean and well maintained. The monthly rate was $60 higher than I was paying in Ontario, and more than I wanted to pay. The whole experience of dealing with this business was pleasant and professional. Very friendly and helpful ladies on the front desk. The facility is spotlessly clean. At check in, very helpful and nice. The staff is very willing to help. Convenient, safe, clean, great staff. Site worked very well for my trailer. very easy was shown the spot, paid loaded up. the staff is very friendly and helpful. the monthly rate was just right for our budget. the facility is clean and well-lit. i would highly recommend this location. I’ve rented a unit here for many years. I’ve never worried about the safety of my belongings The buildings are incredibly clean, there are always several carts etc to move stuff into your unit. I have lost my key a couple of times ? and the staff have always been very friendly and helpful. I would recommend this location to everyone! The PoCo MLS location was a great fit for us and the storage of our 35 foot long Winnebago. They have a huge lot with wide lanes and turning spaces. This site has a 24/7 on site manager providing that extra bit of security. 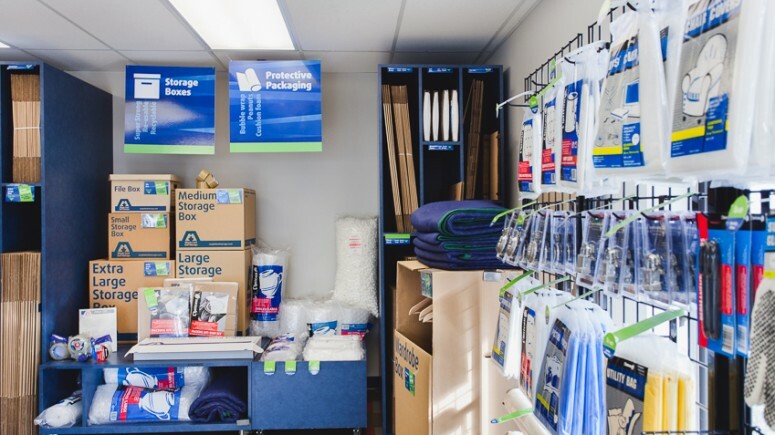 Friendly staff and prices that are in line with those you would pay at other storage facilities, some of which are nowhere near as professionally run as this one. Reasonable rates and friendly staff. After visiting a couple other storage places in the PoCo area, I decided to go with them. Carolyn contacted me by phone within 5 minutes of me emailing for more information. She was so friendly and helpful that I decided to drive there the same day to look at their facility. I was warmly greeted by Carolyn and Valerie (?). They were both very nice throughout the whole process. Carolyn showed me exactly the unit I wanted which was secure and climate controlled. The whole place was also very clean, accessible and well lit. I will have no problems storing my belongings there so I signed up right away. They allowed me to get a storage even if my move in date won't be for another 2 weeks. I highly recommend this place! We were able to snag one in the right size (but not particularly where we wanted) but we went on a wait list for a bigger one as we had more stuff going in eventually and they were able to make it happen and it's so much better. Staff is sooooo friendly and helpful! Website makes it easy to pay online too. Very happy with our choice here!! I have been storing my business inventory with Maple Leaf Storage in Poco since August and the experience has been amazing. Not only is the staff very nice and helpful, the facility is EXTREMELY clean, which is really important to me as I need to store items that are sold regularly. There is really great lighting and the carts for taking things in and out are really helpful. Very happy that I decided to store with them and would highly recommend to anyone needed storage. I was unsure about using a storage company. When I went to Maple Leaf I found the staff very helpful and not pushy. I find everything well run, the grounds are clean. Everything in my locker is very safe and dry. The staff go out of their way to make sure you are very well looked after. Very clean. Friendly staff. Will definitely use again in the future. 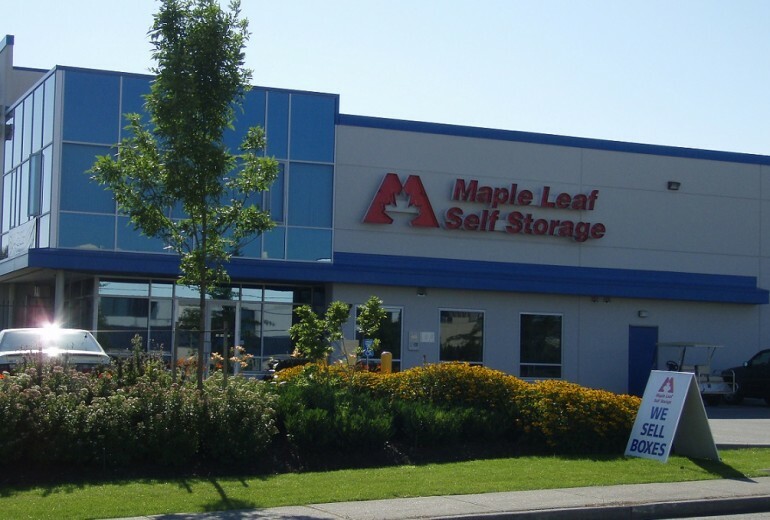 With a convenient selection of large, drive-up units in addition to our interior lockers, Maple Leaf Self Storage in Port Coquitlam is home away from home for all your important belongings. It was tough to find off-site storage with spacious, ground-level units in Port Coquitlam—until now. 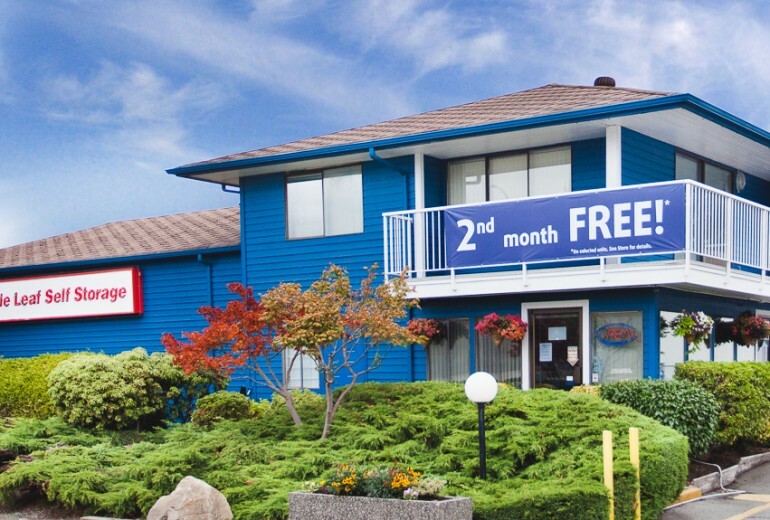 Our Port Coquitlam drive-up self storage units make access to your belongings even quicker and easier. Wide driveways and generous hallways coupled with large staging areas are a dream for anyone moving or needing regular access. As for those heavy items, we’ll lend you a moving cart during office hours at no charge. 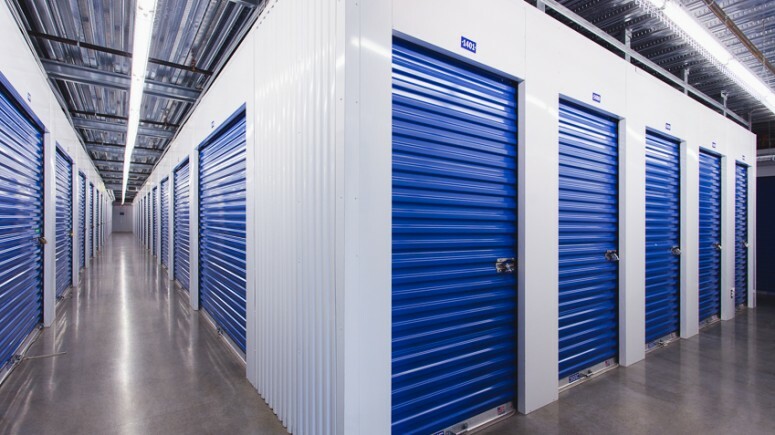 Each self storage unit comes with galvanized steel, extra-wide roll-up doors and an individual alarm. 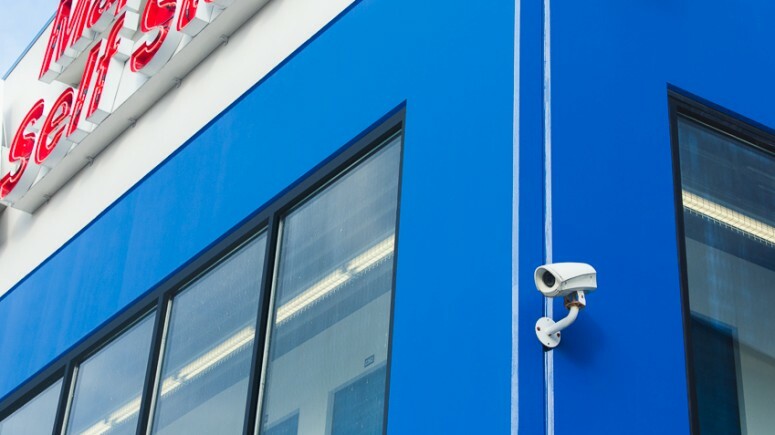 That, plus 24-hour video monitoring and an on-site manager make for the most secure storage you can find outside of your own home. Whether you’re stowing away furniture, boxes, vehicles, marketing materials or files, we have room for you. And each of our Port Coquitlam self storage unit is clean and climate-controlled. Talk about an upgrade from the attic, garage or basement! Ready to find your perfect Port Coquitlam storage solution? Contact us today. *Offer is available on selected units, subject to availability. Available at the Port Coquitlam location. Subsequent storage periods will be subject to re-quoting. If customer moves out during the first month, no discount will apply. Offer has no cash value. Cannot be combined with any other storage offer other than Multipack Box Deals.